The Players Card Guarantees* the Best Playing Rates at Tidewater. **Tidewater 2019 Players Card is restricted to local residents and property owners in Horry, Marion, Georgetown, Brunswick, Columbus, New Hanover and Charleston (new) counties. GUARANTEED* BEST Resident's Playing Rates. * Exception is Tidewaters Annual Membership – Details show below. 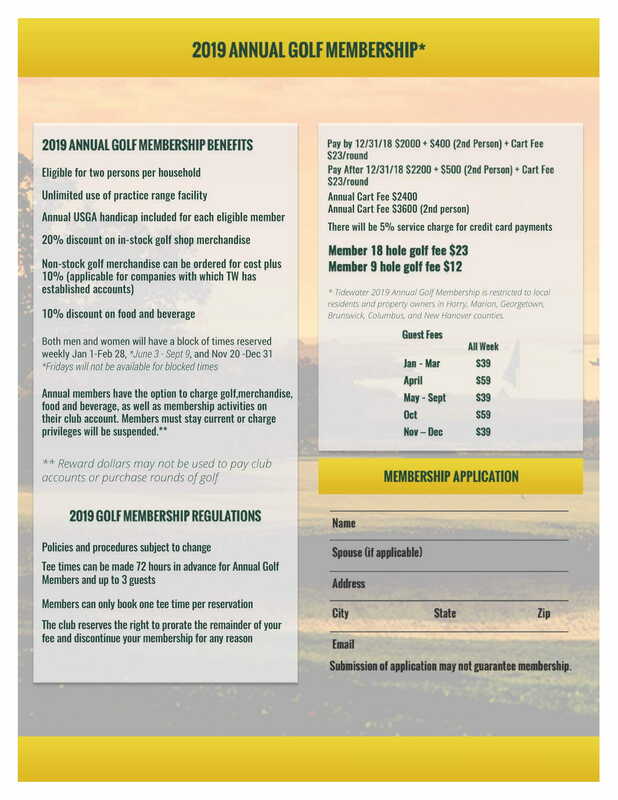 ** Tidewater 2019 Annual Golf Membership and Players Card is restricted to local residents (who live or own) in Horry, Marion, Georgetown, Brunswick, Columbus , New Hanover and Charleston (New) counties.